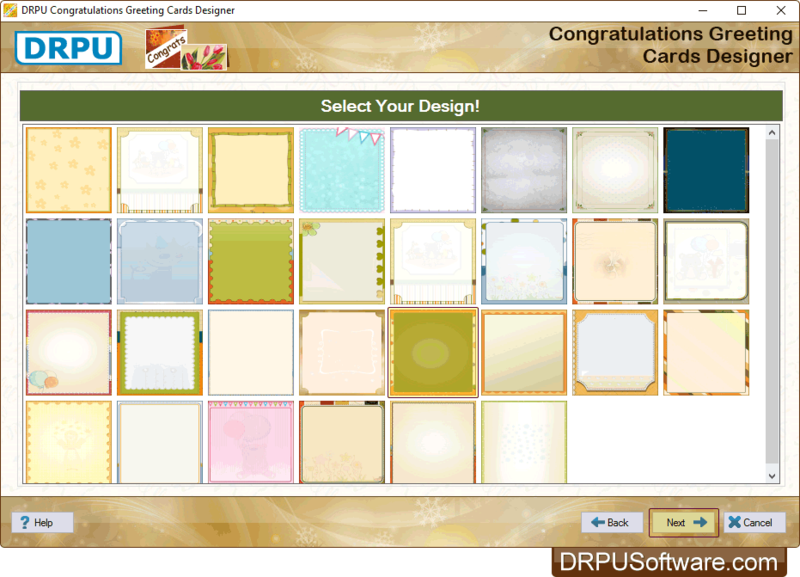 Send your congratulatory wishes with DRPU Congratulations Greeting Cards Designer Freeware. Now design beautiful congratulations greeting card that can touch the heart of your loved one at their success event or achievement. 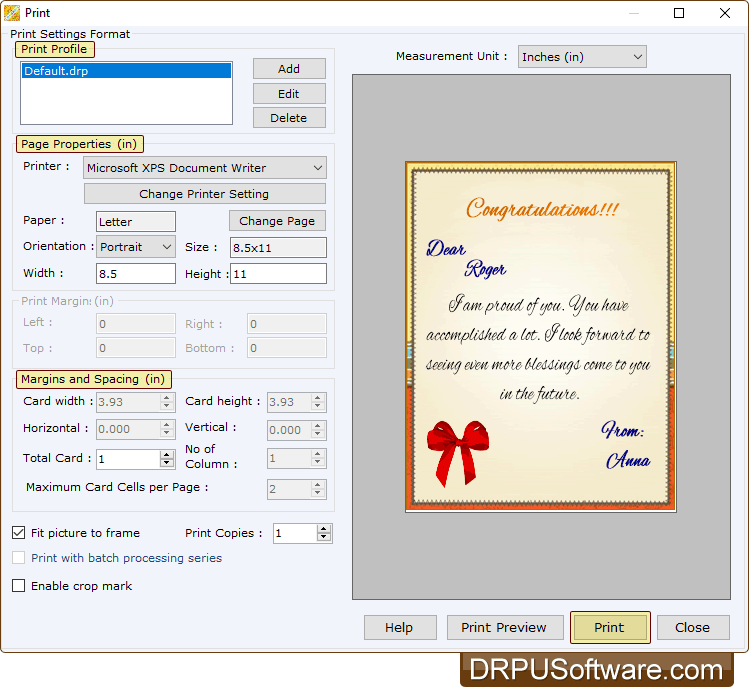 DRPU Software come up with the best way to say congratulations with our Printable Greeting Cards that you can send through e-mail to the specified email ID or print your designed greeting card using advanced print settings. After designing, you can export your designed greeting card as image (png, jpeg, bmp etc.) and as pdf file format. 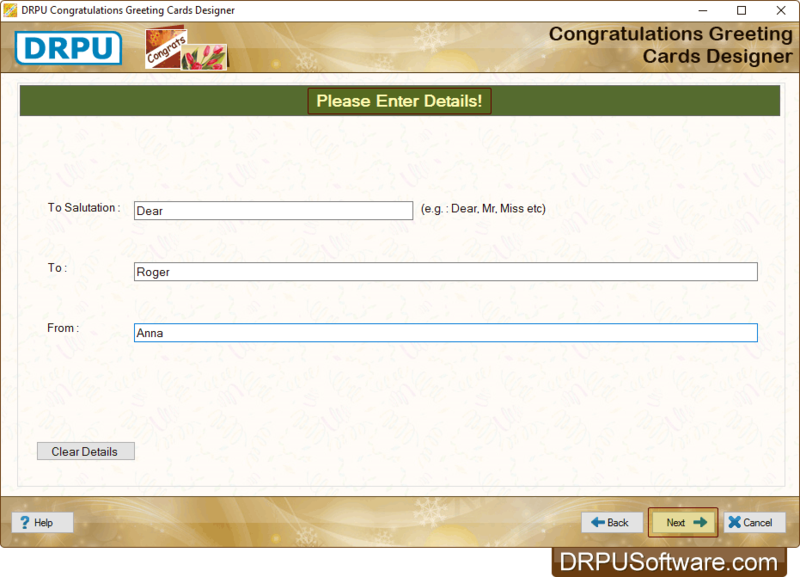 Email setting feature to email your designed greeting card to the specified email address. Design your personalized congratulations greeting card using various card designing tools including Line, Text, Shape Type, rectangle, rounded rectangle, ellipse, Insert image etc. 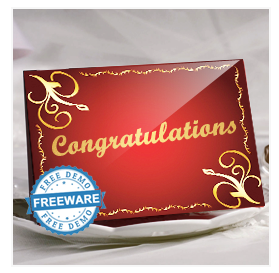 Save your designed congratulations greeting cards in JPEG, PNG, GIF, PDF and other file formats. 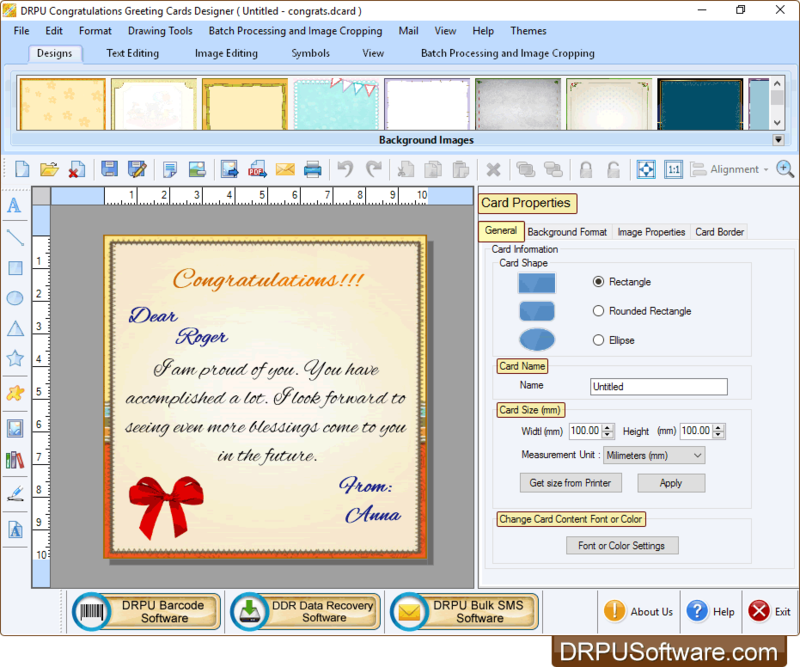 You can design multiple congratulations cards with different images and text value using Batch Processing Series feature. With flexible inbuilt print settings, you can print your designed congratulations greeting cards with support to all major types of printers. 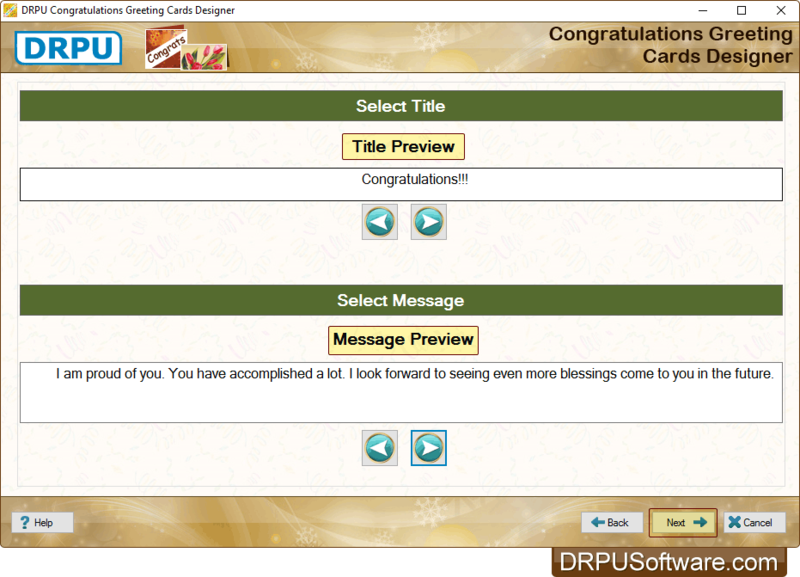 Select any one predefined card design sample for your congratulations card. Select title and message for your card and click on 'Next' button. Enter Details of your greeting card. If you want to make any further changes in your greeting card, you can use 'Card Properties'. 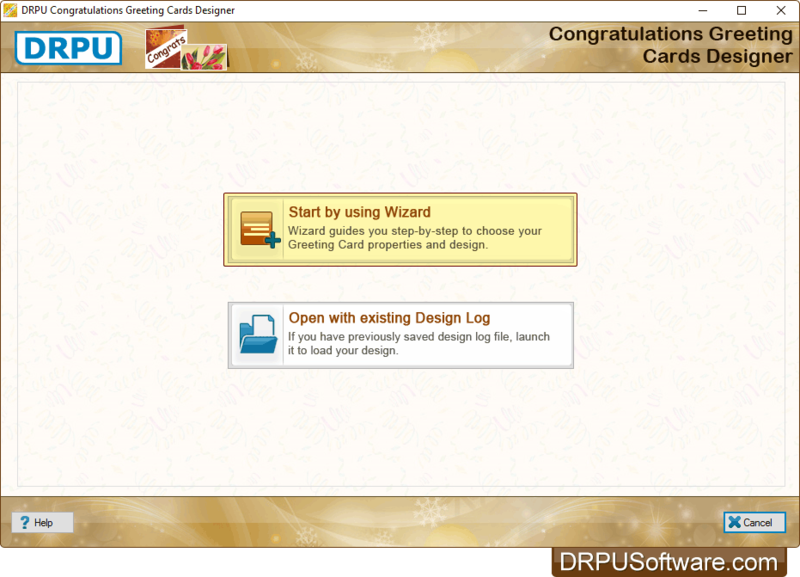 To print designed greeting card, set all print settings and click on 'print settings'.